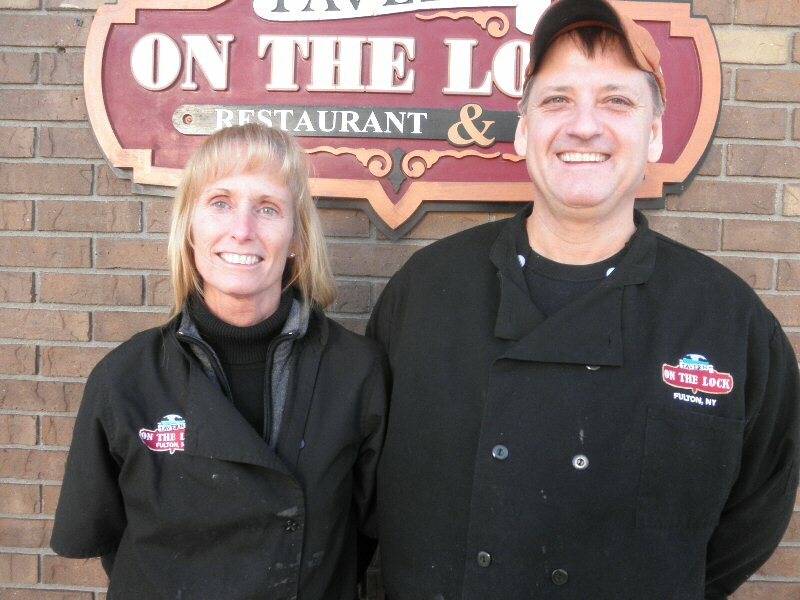 FULTON, NY – Tavern on the Lock joins Mimi’s, Blue Moon Grill, and The Foursome Dinner in providing soup for United Way of Greater Oswego County’s Fifth Annual ‘Stone Soup Too’ Luncheon to be held March 19 from 11:30 a.m. to 1:30 p.m. at Holy Trinity Parish, 309 Buffalo St.
Pictured are Sue Ryan, co-owner of Tavern on the Lock and Chef Ed Casler. In addition to the soups, there will be coffee from Dunkin’ Donuts; salad provided by C’s; rolls from the Red Baron; cookies from Kathy’s Cakes and Joe’s Corner Market; cake from Springside at Seneca Hill and water courtesy of Hudson’s Dairy. The United Way will be accepting donations of $5 per person for the luncheon. All proceeds will be used to support area food pantries. Attendees are also encouraged to please bring donations of non-perishable food items, as the United Way will be collecting food donations as well. For more information on the United Way’s Stone Soup Luncheon, call 315-593-1900.